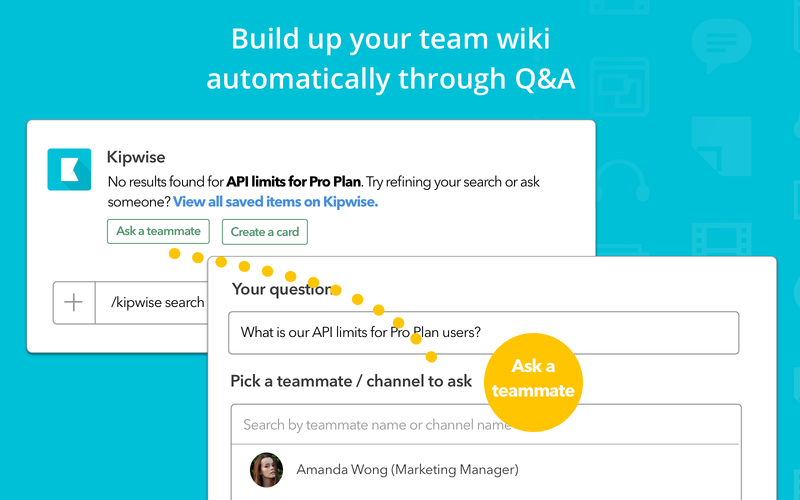 • Search :mag_right: across your knowledge base with /kipwise search [keywords] Easily turn Slack messages into team wiki docs • Discussed something important in chat? 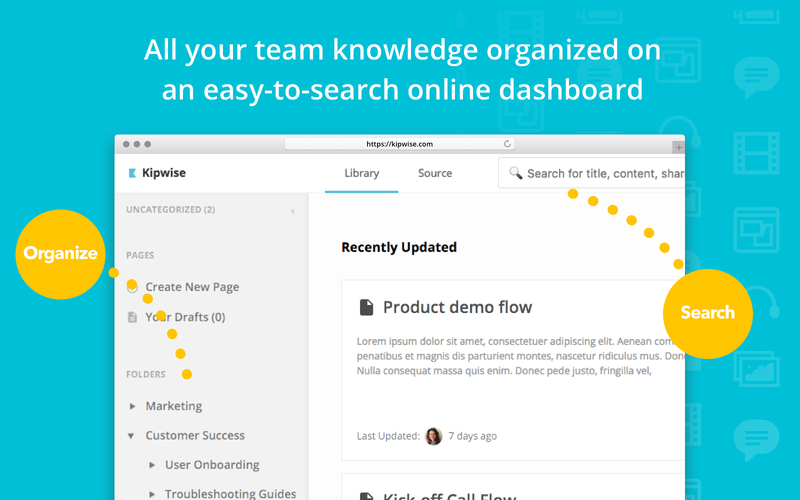 Clip it :paperclip: and turn it into a Kipwise Page with just a few clicks using Slack actionBuild up your knowledge base automatically through questions and answers • Couldn’t find something on Kipwise? 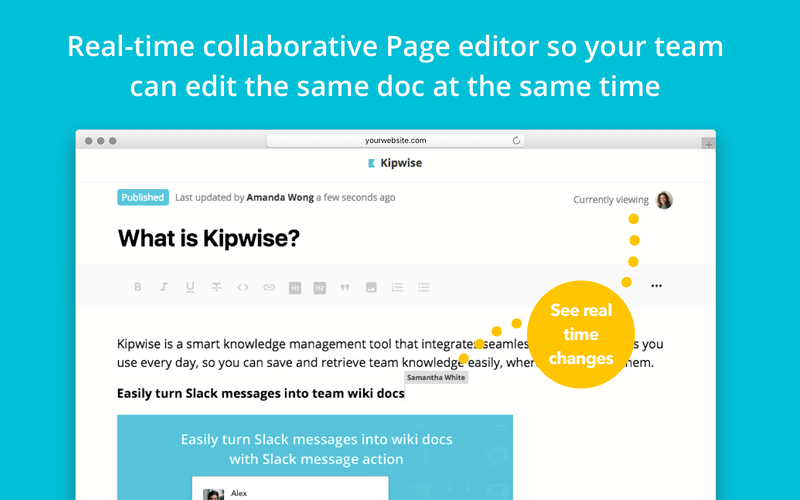 Assign the question to a teammate, the Q&A will be saved to Kipwise automatically when your teammate answered.Real-time collaborative Page Editor • The Kipwise online editor allows real-time collaboration so your team can edit the same wiki doc at the same time. Pages can be organized into folders. Kipwise will be able to send messages to your workspace. Kipwise will be able to access information about your workspace, including name, email domain, and icon. Kipwise will be able to view your user id number, full name, and workspace id number on your workspace. 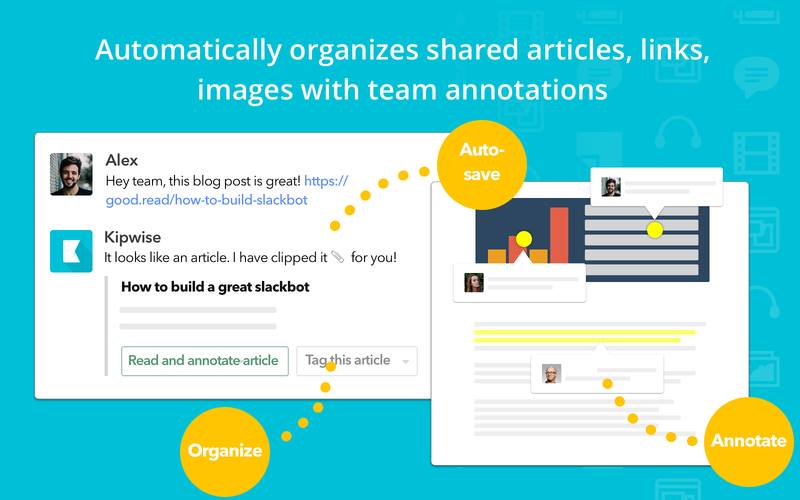 Kipwise will be able to view your Slack avatar on your workspace. 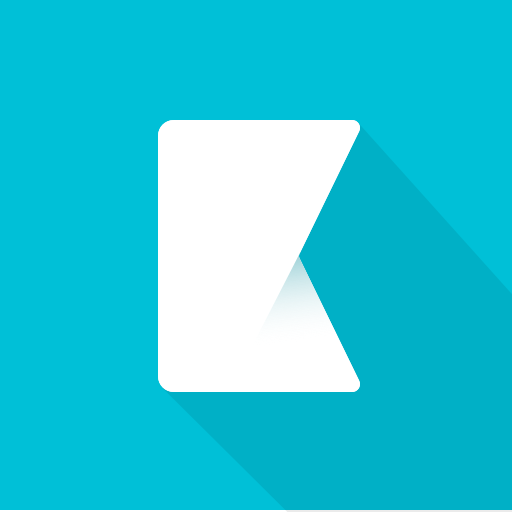 Kipwise will be able to view your email address on your workspace. 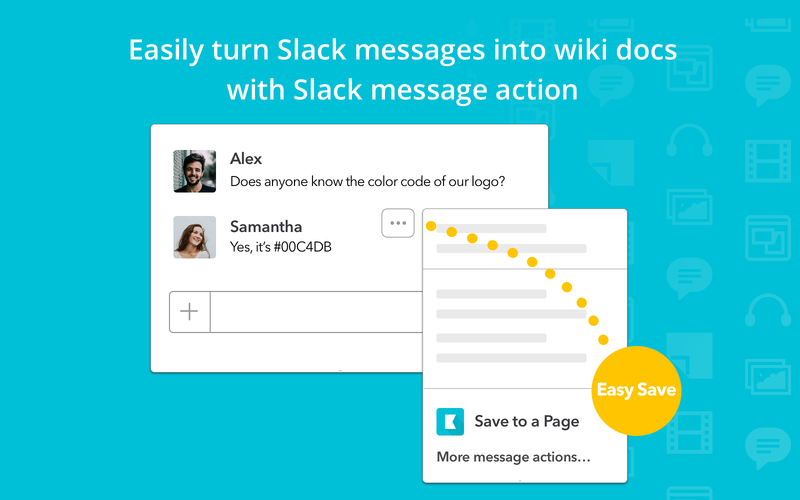 Kipwise will be able to view your Slack workspace name, domain, and icon. Kipwise will be able to access basic information about your public channels (including names, topics, purposes, creation date, and latest message). Kipwise will be able to modify information about your public channels, including name and purpose, as well as archive and create new ones. Kipwise will be able to view kipwise.com URLs to provide previews and other functionality. Kipwise will be able to access any messages and activity you can see in public channels. Kipwise will be able to install a bot user that appears in and has access to your workspace’s directory. It can also post messages and view activity on messages in any channel it is invited to. Kipwise will be able to send messages on your behalf to your workspace. 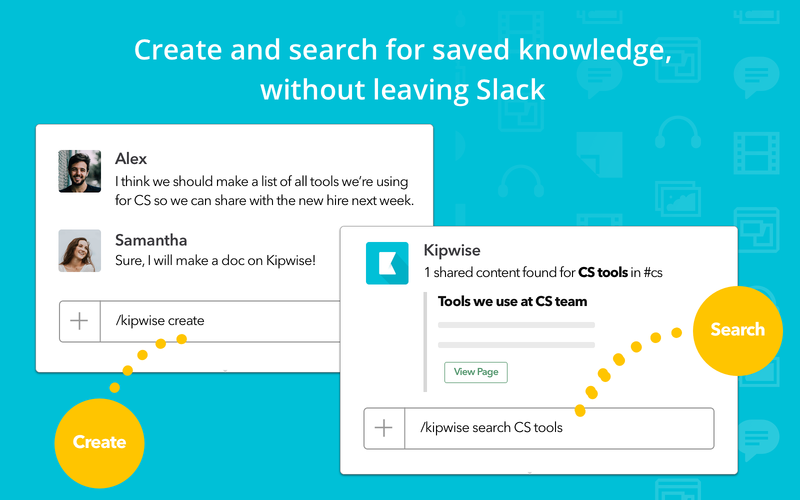 Kipwise will be able to access content of files created inside of or uploaded to Slack (including information such as who uploaded the files, when they were uploaded, associated comments, and sharing history).